Harrow’s election campaigning is heating up in the virtual world. 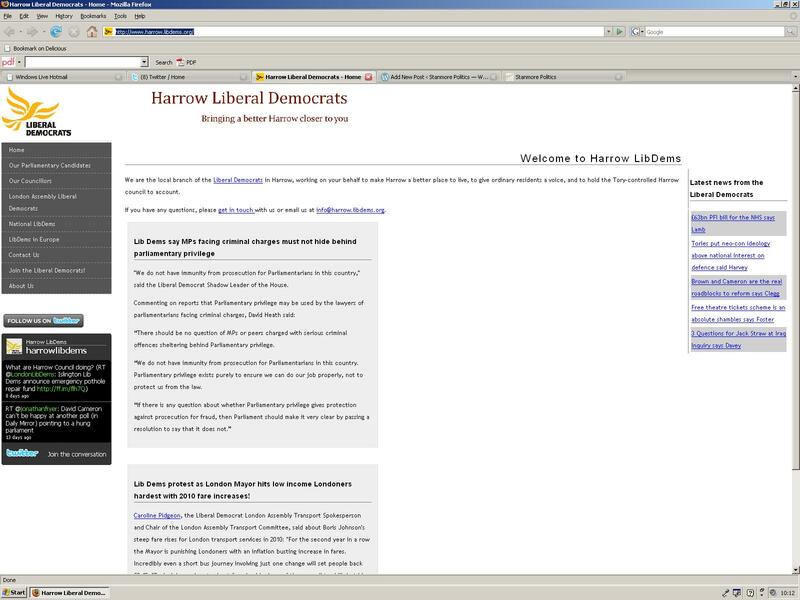 Harrow Lib Dems have got their new website up and running here. 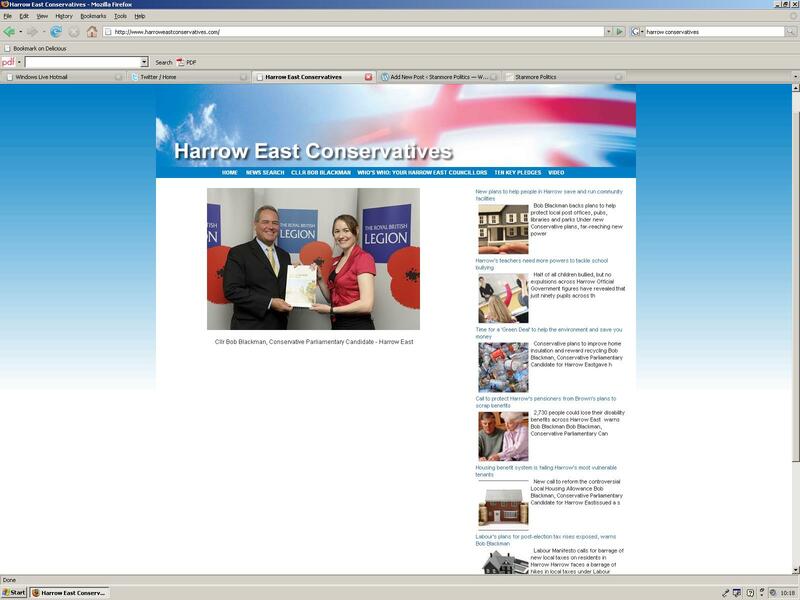 The website of the Harrow East Conservatives has been live for some time now, as can be seen here, although it hasn’t been updated for a while. 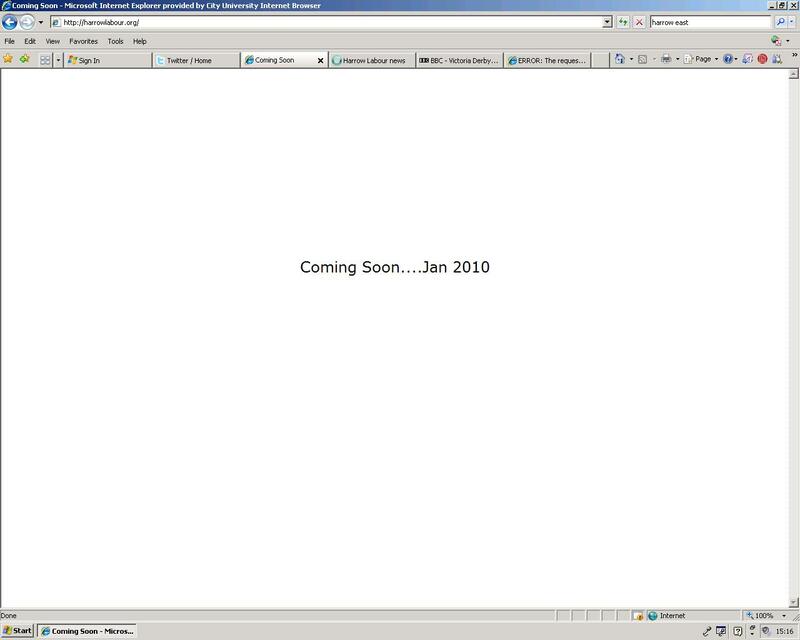 Meanwhile, Harrow Labour’s website is still not open for business, despite the promise it would be by January 2010 and a reaffirmation by MP Tony McNulty that he would look into it. 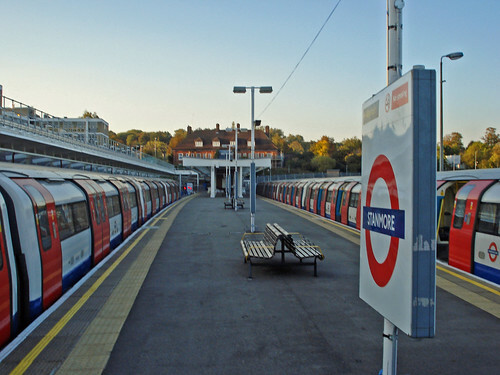 Where in the web is Harrow Labour? For some time now things have been a little quiet on Harrow Labour’s online front. 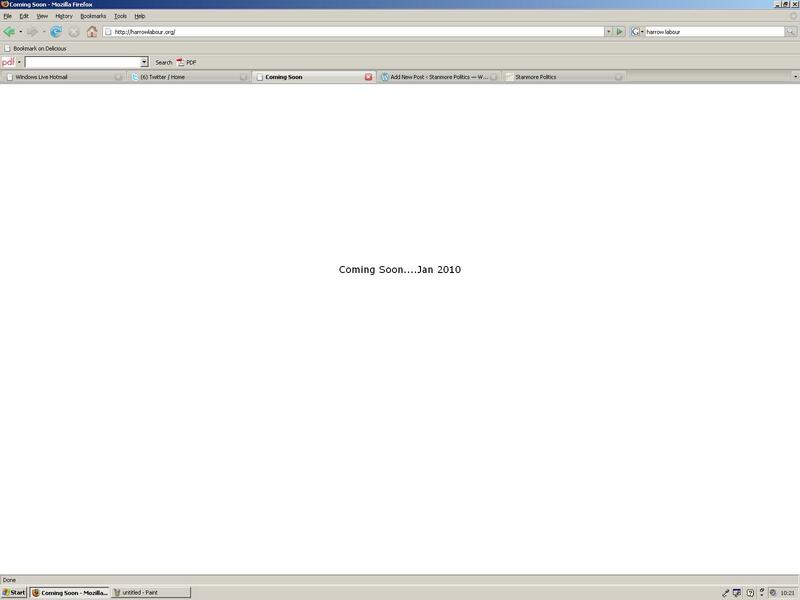 If you log on to the website, this is the message that greets you. Well, January is soon to turn into February. The Labour lot only have three more days to have their site go live before they break this particular promise. The pundits are all talking about how the next election will truly be fought online as well as in the real world. With the upcoming votes for Harrow’s two parliamentary constituencies looking set to be real battles, they’d better get a move on.